Woman is a weekly British magazine featuring articles on fashion, cooking, knitting and dress-making, family life and short stories and serials. 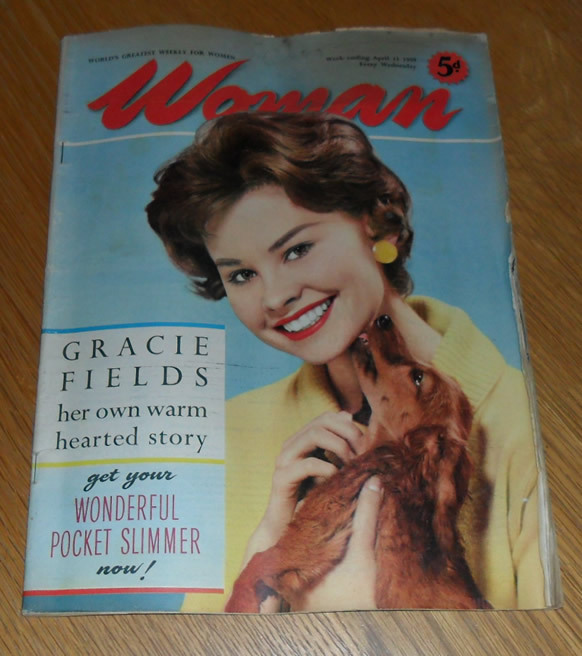 Cover article in this issue is Gracie Fields. The magazine is in good condition, with only some marking and wear to the corners (see photo).